Following the completion of the privatization of DESFA - Greece’s natural gas transmission system operator - a new phase is beginning to unveil. One, that according to the company’s newly appointed CEO, Nicola Battilana, will not only bring the country closer to its ambition of becoming a European energy gateway; this chapter also promises to catapult DESFA’s footprint beyond Greek borders. From the development of an “energy bridge,” linking Greece and North Macedonia, to making the Revithoussa LNG Terminal Station an energy gateway for the import of LNG into Europe – Battilana discussed his plans for DESFA in an exclusive interview with South EU Summit Magazine. South EU Summit: December marked a turning point for DESFA, following the transfer of 66% of the Greek TSO’s shares to the Senfluga Energy consortium. Your appointment as CEO of the company was one of many strategic alterations that this change in ownership will bring about. What does this new phase mean for DESFA and, in particular, for the Greek economy? Nicola Battilana: Senfluga Energy consortium is comprised of Snam, Enagas and Fluxys, which are three leading European natural gas transmission companies, that own and operate, as a whole, gas transmission networks of over 68,000 kms in length, several LNG terminals and storage facilities across Europe, and in Latin America, in counties such as Mexico, Peru, and Chile. 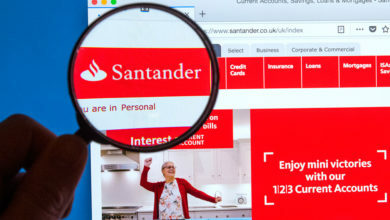 The three companies are also dedicated to promoting the development of a unified European energy network, where the use of gas as a source of clean and sustainable energy (fuel) is an essential component. In addition, the consortium can offer great expertise and experience to DESFA, as well as several strategic alliances in the wider region. The new shareholding structure enables DESFA to move one-step forward, by expanding its activities beyond the Greek borders and enhancing its position in the international energy scene. DESFA’s objective to achieve a strong strategic position in South Eastern Europe, will bring multiple benefits to the Greek economy, by stimulating investments, creating jobs, and boosting growth. Our strategy also aims at exploiting new uses of natural gas in Greece, introducing renewable gases, such as biomethane; creating a sustainable energy system, and contributing actively to the reduction of polluting emissions and greenhouse gases in the country. One new use – especially important in a country with the shipping tradition of Greece – is the small scale LNG for ship bunkering along with the road transportation of LNG to off-grid customers. Furthermore, we will boost investments in infrastructure and we will offer new approaches in the national market. The expertise and the know-how of the consortium will positively affect the creation of new investments that will also bring qualified jobs. South EU Summit: What message do you believe this deal has sent internationally about the investment potential that exists in Greece? Nicola Battilana: I believe that the message coming out of this deal is a message of trust, in a country that has decided to open one of the most sensitive infrastructures: the gas transmission network. The decision to privatise such an infrastructure was one of great courage, and we are proud that we are a part of it. It is a validation of who we are as companies in our respective countries, and of what we have managed to achieve throughout these past years. Nevertheless, it is essential to remember that one third of the national operator will continue to be owned by the Greek state. Our participation intends to fully exploit the possibilities offered by DESFA, as a private operator: expanding the business, increasing efficiency and flexibility, boosting the market and investments, as well as market liquidity. Naturally enough, we will also work to increase revenues and profit, which, at the end of the day, is an important goal for any private investor, but operating nonetheless in a very sustainable way, as it is in our tradition. We have a long track record of growth in the countries we come from, and we can also prove that this growth has been constantly sustainable and has never negatively affected our people, our stakeholders, or the environment where we are operating. South EU Summit: DESFA was also recently awarded a contract for the maintenance of the Greek section of the TAP pipeline. Bearing in mind the Senfluga Energy Consortium’s participation in the Southern Gas Corridor, how else do you plan to leverage this relationship to develop synergies in the market and bolster the role of DESFA? 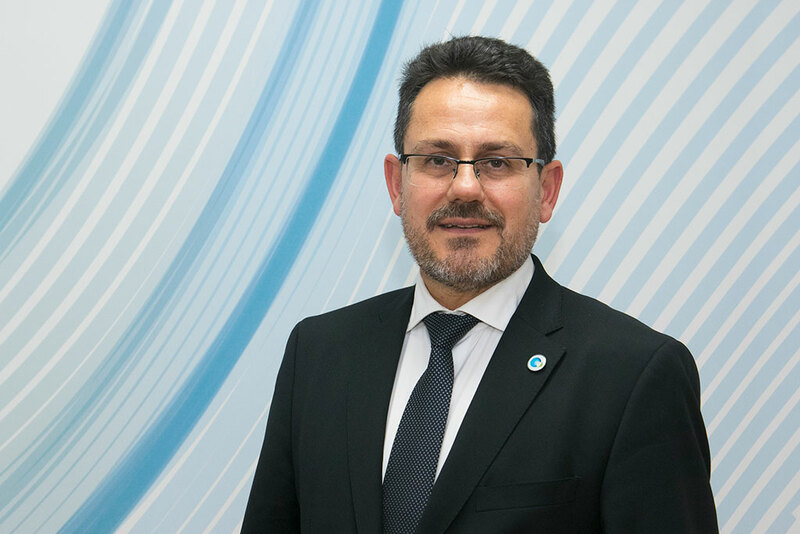 Nicola Battilana: The fact that DESFA will carry out the maintenance of the TAP pipeline is a confirmation of the technical capabilities of DESFA. Further, it shall enhance the cooperation between the two companies and exploit the synergies between the two pipeline systems, for the benefit of gas consumers in Western Greece. The relationship between the two companies will also mark DESFA’s position at an international level. DESFA can play a significant role as a hub of technical and operational services in Greece and in the wider region, due to its competencies and skills. Owning over 1,500 kilometres of high-pressure pipeline, a compressor station – with the vision to have three more in the near future – and one of the biggest regasification plants in the area, DESFA can claim a technical knowledge that is unique in Greece. I strongly believe that the contract with TAP is only the beginning. 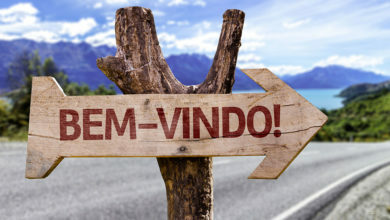 DESFA can significantly increase the volume of services rendered in the area, with benefits for the company, the employees, and the market itself, by reducing at the same time regulated costs. South EU Summit: Greece’s Regulatory Authority for Energy recently granted conditional approval to DESFA’s ten-year development plan. What does this development plan entail? Nicola Battilana: The ten-year development plan is a tool used by TSOs in Greece, as in the rest of Europe, to plan the investments that are necessary to expand the network. 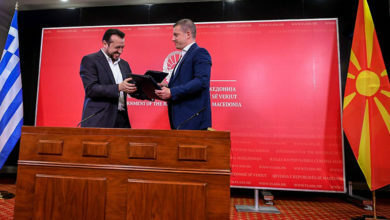 As such, DESFA has presented an investment plan of 330 million euros, that includes the interconnector between Greece and North Macedonia. This project aims at building an “energy bridge” with North Macedonia, through the construction of the natural gas pipeline, from the Thessaloniki region to the border between the two countries, where it will be connected with the pipeline that the North Macedonian operator, MER, will build up to Negotino. South EU Summit: How does DESFA’s proposal for the Greece-North Macedonia interconnector differentiate from that being tabled by its competitor, Windows International? 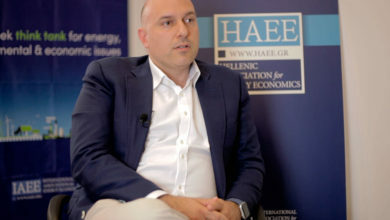 Nicola Battilana: The main difference between DESFA’s project and the other competing project, is that DESFA’s pipeline would be part of the NNGTS system, that is owned and operated by DESFA, which is the Greek National Operator, with the participation of the Greek state for more than one third, while the other pipeline would be entirely private. Our pipeline would be part of a much larger network, with over 1.500 km of pipelines, enhancing synergies in operation and maintenance activities, which are carried out according to internationally recognised experiences and competencies, as testified by the recent acquisition of the TAP maintenance contract, as I previously explained. Another advantage is related to DESFA’s two-year long close cooperation with MER, with whom we have already completed a common feasibility study, and we have started discussing with financing institutions. The same cooperation extends to the North Macedonian authorities, who recognise in DESFA the best partner for the implementation of this project, which is very important for both countries. Last but not least, when you decide to build a pipeline, you also need to take into account its possible future development. Is the pipeline going to remain as a single, stand-alone asset, or might it become, in the future, a crossroads of exports through the Balkans, beyond North Macedonia? In that case, it is better to have such a pipeline belonging to the national network, rather than being a totally privately operated asset. South EU Summit: According to a study undertaken by DESFA, the upgrade of the Revithoussa LNG Terminal means that Greece can become a gas exporter, capable of supplying 5 billion cubic meters of gas per annum to the Balkan region, as well as becoming an entry point for US shale gas into the wider region. With the first US LNG shipment having been delivered to the Revithoussa LNG Terminal in January of this year, how can Greece leverage its location and energy infrastructure to become an energy hub for the wider region? Nicola Battilana: DESFA’s goal is to further develop the potential of the Revithoussa LNG Terminal Station, to serve as the main source of gas supply diversification in the Balkan region, and as an energy gateway for the import of LNG in Europe. LNG from Revithoussa can be transmitted to the East Balkan region through reverse flow, at the existing Bulgarian – Greek interconnection at Kulata – Sidirokastro, or to a lesser extent through the Interconnector Greece – Bulgaria pipeline to be connected to the DESFA network at Komotini, or with reverse flow through the TAP pipeline, also to be connected to the DESFA network at Nea Messimvria near Thessaloniki, given that the TAP pipeline will be connected to the IGB pipeline too. 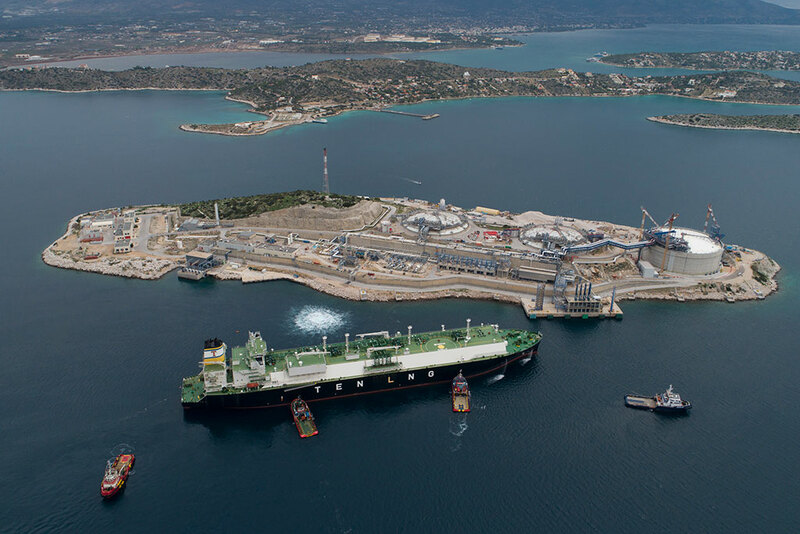 After the completion of the 3rd tank, Revithoussa has become a real hub of LNG: it can receive transoceanic carriers, and has a send out capacity of up to 21 million cubic metres per day, which is a big capacity for the market in Greece. In addition, it will soon become ready for reloading, enhancing this important service to be rendered to the customers, together with the cooling down and inertization services, that are already available. Last but not least, we should consider the crucial role of Revithoussa as the source of small-scale LNG developments in Greece and the East Mediterranean, because of its strategic position and vicinity to the port of Piraeus. There is a significant potential for LNG as an alternative fuel for bunkering: Piraeus has a very high number of the so-called short sea shipping calls, because of the important fleet of ferries that connect Athens to the islands, as well as a key position for cruise ships, and for commercial ships along the route Gibraltar – Suez. South EU Summit: You have openly advocated the importance of the completion of the EU energy union. What role do you foresee Greece playing in this regard, and how do you believe the expertise of DESFA’s international shareholding can contribute to this objective? Nicola Battilana: DESFA is engaged with the objectives of the EU Energy Union strategy, regarding energy security and interconnected energy grids across Europe. Greece can play a significant role regarding this aspect, through DESFA’s unique opportunity to expand its role, far beyond the Greek borders and the Balkan’s region. Natural gas has and will continue to have, a central position in Europe’s energy mix for decades to come. Gradually substituting less green fuels, such as coal and oil, for the generation of electricity and heating – as well as for urban and suburban transportation, marine and industrial use, or as part of the circular economy with the production of biogas from urban waste or agriculture. This is even truer for SE Europe, where the gas penetration has not yet reached its full potential, as the use of oil and even coal and lignite is still widespread. Greece could strengthen its position as an international and powerful player in the energy scene, and stand out in Europe, with multiple benefits for the Greek economy. Our target is to focus on investments in infrastructure, and develop an even more resilient and reliable system. Senfluga’s know-how can contribute to the implementation of the great investment plan of the previous Management Team, by constructing a wide network of energy infrastructure of strategic importance for Greece and Europe, but also contributing to the development of a fully liberalised and liquid gas market. We will use our know-how to understand, whether a certain trend will be established or not, and I am confident that our experience in our respective countries and markets, confirms that we are able to do that in Greece as well. For the time being, we are monitoring all the ongoing developments and we are ready to get involved. We will work closely with the institutions, Authorities, and Government, in particular, to promote innovations, investments, and eventually build a successful story for the Greek energy market. South EU Summit: The European Union has set out ambitious energy targets that entail a penetration of RES in electricity production equivalent to at least 32%, energy efficiency of 32.5% by 2030 and, most importantly, for the Union to become the world’s first climate-neutral economy by 2050. Bearing in in mind that gas is a fossil fuel that contributes to climate change, what role do you see gas playing in the energy mix of the future? Nicola Battilana: Natural gas is indeed a fossil fuel, but one has to bear in mind that the pollutants’ emissions related to the use of natural gas are much lower than those of all other fossil fuels. Not only does the combustion of gas produce less CO2 than the combustion of oil, coal or lignite, but also, most importantly, natural gas use does not produce sulphur emissions, nor does it release particles, both extremely harmful for public health. We understand that decarbonisation is the target set by Europe, and that natural gas will have an important role to play, especially in this region of Europe: firstly, in order to replace more polluting fuels still being widely used and secondly, in order to support the higher use of renewable energies, whose availability depends on meteorological conditions. When there is no wind, windmills don’t produce energy. When there is no sun, solar cells don’t produce energy. Power stations are perfect for matching with such intermittency, as they reach maximum power very quickly. Moreover, as already mentioned, the gas transmission infrastructure is expected to be used for the transportation of increasing quantities of ‘green’ gas – be it bio-methane, which is already a reality for example in Italy, or hydrogen – in the next years. The recent ECOFYS study, carried out by the consortium Gas for Climate, shows that in 2025 in Europe, there could be 250 bcm of renewable gas (bio-methane and hydrogen) and that by using these volumes in residential heating, dispatchable power, industry and heavy transport, full decarbonisation could be reached with a saving of 217 billion euros, in comparison to no gas scenarios. DESFA is now part of this network of initiatives, and will work relentlessly to promote them in Greece. Trying to Balance Nationalist And Anti-Migrant Tensions, The EU Floats a Compromise on Operation Sophia - But at What Cost?